325 The Napinka Subdivision, Mile 0 to Mile 49. 2011/05, Former CPR Napinka Sub. Mile 15? Between Pilot Mound and Crystal City. 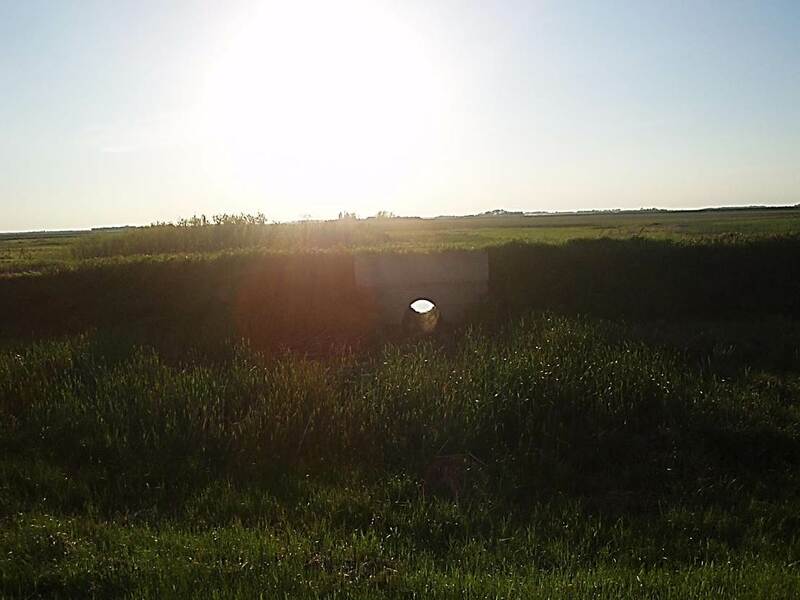 Setting sun shining through concrete culvert in an abandoned rail bed. View – looking N.W. at S.E. face of culvert. (Click on photo for detail) © Text and Photos exclusive copyright of N. Froese. This entry was posted in Uncategorized on 2015-05-29 by nfroese.